Every region of every country has a distinctive landscape with native plants and wildlife that thrive in a particular climate and geography. Long before pioneer farmers ploughed the soil and planted wheat and other grains, there were grasses and flowers, shrubs and trees on the plains and in the forests of Saskatchewan. It’s very difficult nowadays to experience the natural landscape of Saskatchewan as cultivation, resource extraction, residential development, and road building have reshaped the land. 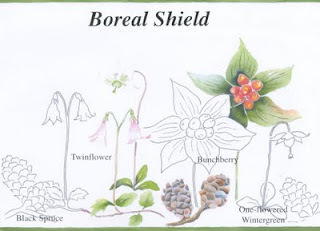 The Native Plant Society of Saskatchewan is a non-profit, member-driven organization that promotes understanding and conservation of Saskatchewan’s native plants and their ecosystems. Chet Neufeld, Executive Director, explains that the Society focuses on education and public awareness. The association has published an impressive list of publications. Here are just a few. Acreage Living: A conservation guide for owners and developers of natural habitats was written to assist people who have moved to an acreage to develop and manage their property in harmony with the local environment. 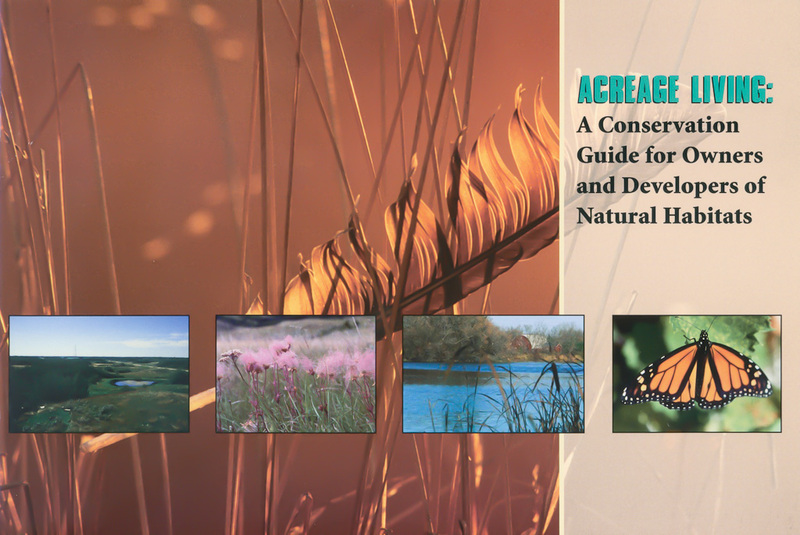 It covers everything from weed management and woodland care to livestock grazing and conservation of wetlands. 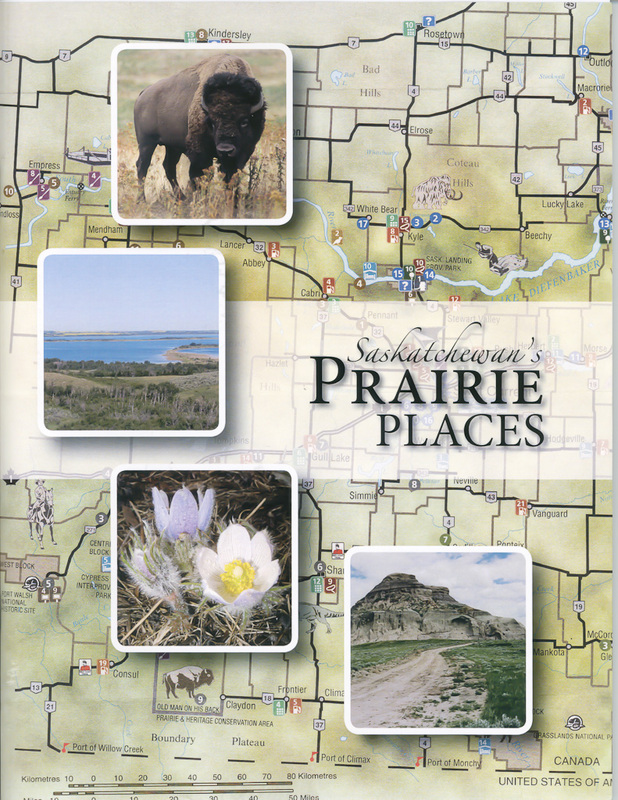 If you like hiking or exploring wilderness places, you’ll want a copy of Saskatchewan’s Prairie Places, which lists the locations of many of the native prairie places that are open to the public in every part of the province. The book provides directions and background information as well as listing things to see and do. Some of the sites are within or close to urban centres while others are more remote. The Society also develops educational resources to complement the school curriculum. 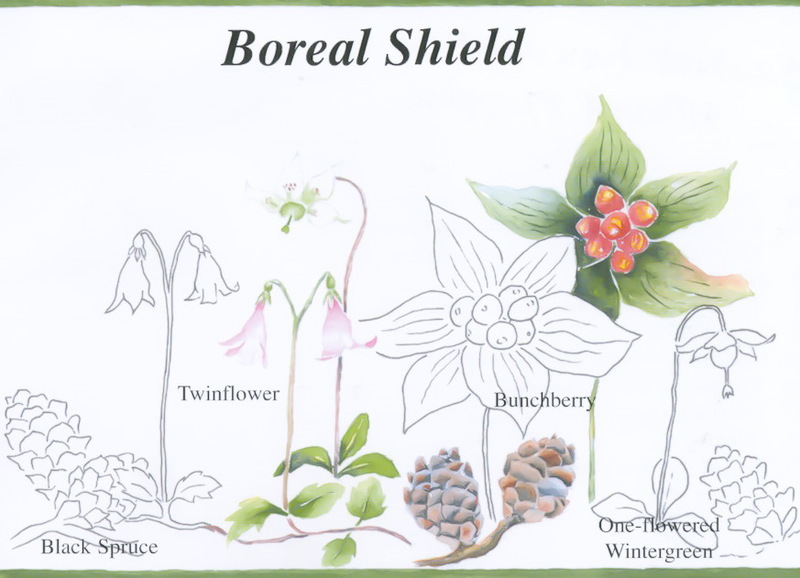 The poster and educational activity sheet for the Native Plant Communities of Saskatchewan are an attractive and handy guide to the wildflowers you can expect to see in the Taiga Shield, the Boreal Shield, the Boreal Plain, and the Prairie. 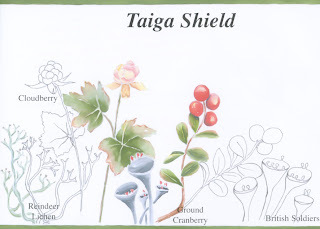 Another poster covers Native Plants, Water and Us. All the posters and activity sheets are free upon request. The Society has distributed over 10,000 copies of the Native Plant Communities poster. The Society also maintains a large photographic library of native plants and habitats, which they have lent to dozens of organizations. The photographs assist in plant identification but also provide a snapshot in time, capturing a particular location on a specific date. 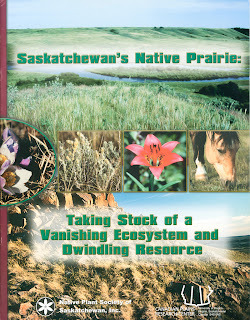 The Native Plant Society of Saskatchewan partners with other organizations on a wide variety of conservation projects. Foreign plants, insects, and diseases (dutch elm disease, zebra mussels, flowering rush) can pose a huge danger to the native habitat. In 2007-2008, the Society was able to secure half a million dollars in provincial funding to distribute to private landowners and community groups to assist them in controlling or making people aware of the dangers of invasive species. The funding was extremely effective as thousands of people gained a new understanding of invasive species and community groups throughout the province were able to address their specific problems. As a result of this project, the Society established a provincial Invasive Species Council so that all the interested parties could work together to address the problems, fill gaps in individual mandates, and collaborate with neighbouring provinces and states. Chet Neufeld, who has a Bachelor of Science and is an articling agrologist, recently participated in a regional economic development conference in Portland, Oregon, that devoted an entire day to discussing invasive species. Under Chet’s direction, a group of volunteers has led an extremely successful effort to eradicate an outbreak of flowering rush. The outbreak was confined to one wetland area, so they are optimistic that they will be able to control it before it spreads further. The Native Plant Society of Saskatchewan has a broad membership base – from scientists and academics to backyard nature enthusiasts – and they try very hard to provide useful information and events for the full spectrum. The Society holds field tours at various places and at various times so that as many people as possible can participate. This year they visited Prince Albert National Park, Last Mountain Lake, Grasslands National Park, and the Northeast Swale near Saskatoon. The annual conference in February welcomes members and non-members alike to participate in a variety of lectures and workshops. This past year, the Society was the first Canadian group to screen the winning films from the International Forest Film Festival. The Society put considerable effort into ensuring that the conference was carbon neutral, purchasing carbon offsets for everything from transit to venue. The Society also distributes a quarterly newsletter to all its members. Chet Neufeld and the board of directors run a small but highly effective operation on primarily project funding. Membership fees are kept low so that as many people as possible can participate. Chet says that they choose future projects based on the phone calls they receive. If people are requesting a specific kind of information, they’ll try and address the need. 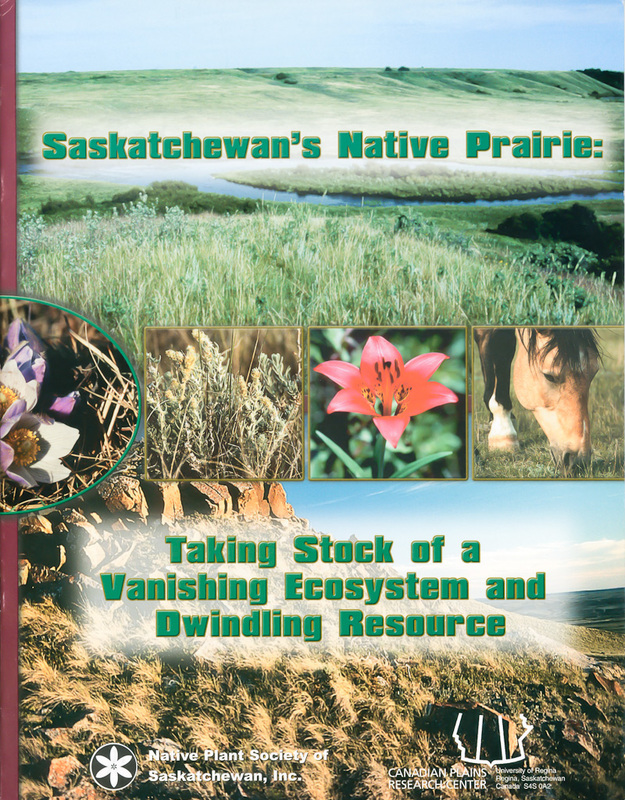 The Native Plant Society of Saskatchewan has an informative website (with a store for ordering publications) as well as a Facebook page. Would you like to grow a native tree or shrub? The Native Plant Society, in conjunction with Shand Greenhouse, is giving away 1,000 native trees this year of the 2011 International Year of Forests. Call the Society at (306) 668-3940 to obtain a free tree or to ask a question.